A new report by Tata Communications examining the commercial transformation of sports identifies 2019 as a defining tipping point for the global sports industry, with digital technology innovation set to kick-start a new era of unprecedented commercial growth for broadcasters, rights holders, and sports organizations. 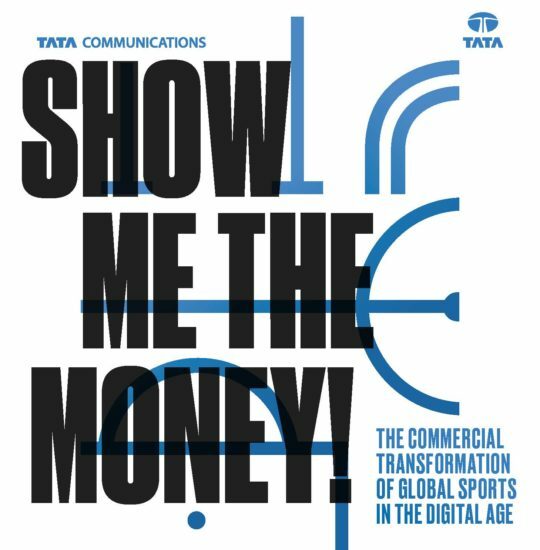 The “Show Me the Money!” report – featuring insights from Formula 1, MotoGP, and European Tour plus major global players HSBC and DAZN – highlights that streaming platforms, Esports, VR apps, and other technology innovations are quickly becoming new crucial revenue drivers for sports alongside media rights, event attendance, sponsorship, and merchandising. Not only do they help grow a sport’s global viewership in terms of volume, they can boost engagement among fans, creating a more compelling value-proposition for sponsorship and advertising. That is why, according to “Show Me the Money!,” regardless of the role an organization plays in sports, it should have a unified digital strategy to unleash new opportunities for growth. Describing digital technologies as the “secret sauce” for monetizing fan engagement, “Show Me the Money!” notes that a successful digital strategy is all about augmenting the fan experience. This could mean enabling people at the stadium or trackside to experience sports in new ways or connecting people around the world to the live action in the most immersive ways possible. From a broadcasting point of view, Marcus Parnwell from OTT platform DAZN agrees and points to the example of Matchroom Sport which has expanded big-time boxing beyond the ring and into a “collective fan experience which can be shared and augmented through OTT broadcasting, live-streaming, and social media”.